Graham Fenton has called for ruthlessness from his league-leading South Shields players heading into Saturday’s trip to Mickleover Sports – which is subject to an 8.30am pitch inspection. The Mariners have won 11 and drawn two of their last 13 games in the Evo-Stik Premier Division to move to the top of the table. One of those 11 victories came against Saturday’s opponents at Mariners Park in November, although Mickleover pushed them all the way before falling to a 3-2 defeat. Shields’ last outing saw them beat Whitby Town 5-2 on Saturday and some may look at Mickleover’s position of third-bottom and expect them to suffer the same fate. Joint manager Fenton, though, is not prepared to fall into the trap of complacency. When asked if his players would have a different mentality now they are top of the league, rather than chasing down teams above them, he said: “We certainly don’t think so, although teams can change their mindset in this situation. “We’ve been exceptional over recent weeks and ruthless. “We’ve been really good at closing that gap to the top teams and overtaking them, and we’ve got to have the same mindset. 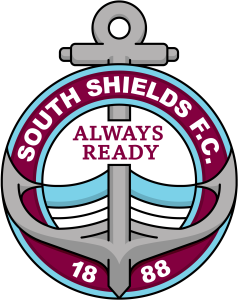 Shields are hoping Saturday’s game will get the go-ahead, although there will be a pitch inspection at 8.30am. Should it go ahead, Fenton is expecting a tough match against a Mickleover side which has won six times at home this season. He added: “They’ve got a decent home record and caused us some problems at Mariners Park. “It will be a completely different game to the Whitby one and we’ll have to change our style. Carl Finnigan, Barrie Smith and Anthony Callaghan continue to miss out with their injuries. Kick-off at Mickleover Sports Club – which has a post code of DE3 9FB – is at 3pm.